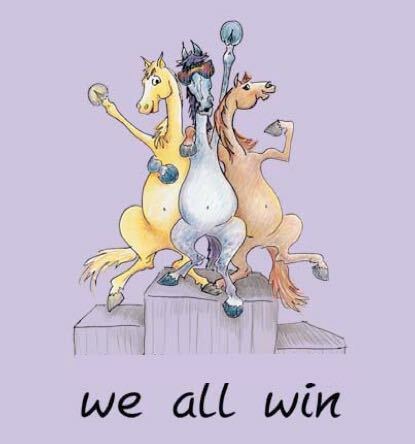 Use competition tests as a way to connect with your horse, progress your training, achieve your goals, and feel like a champion. Do you find yourself riding around at home without clear goals or a way to measure your progress? Are you tired of wasting money on competitions because you don’t feel like anything positive comes out of it? 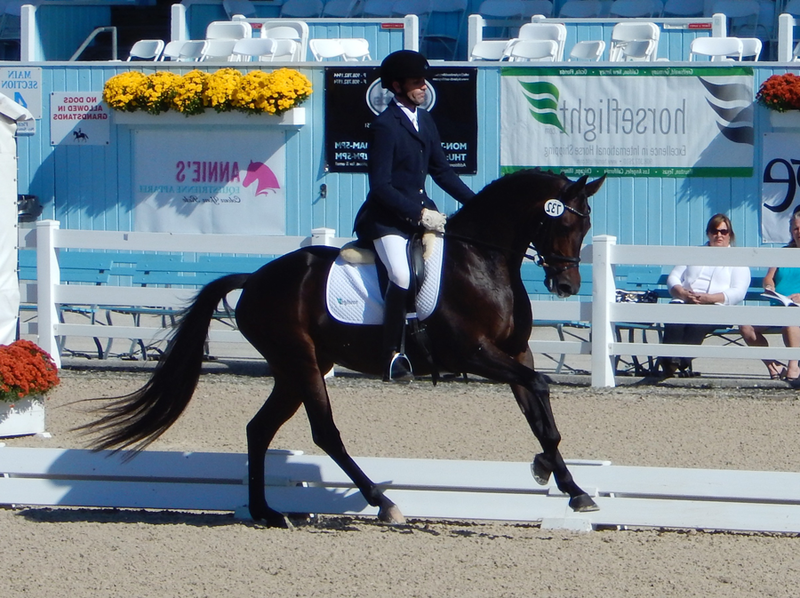 Do you have ‘test anxiety’ and wish you could feel more confident at shows? This Online Course Will Help You! FINALLY, a course that will help you get your money’s worth out of showing. Going to a show can be a big part of progressing your training. Going to a show unprepared can be stressful, a big waste of money, and can actually set you and your horse back. The best way to learn all the stuff about showing that most students are left to figure out by themselves. 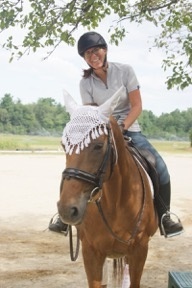 This course will not teach you how to ride or do dressage. It will not conflict with any instruction you are already getting. My horse and I made huge transformations throughout the course. I needed all the information that was presented. Showing doesn’t seem so overwhelming to me now that I have read everything and filled out all of the worksheets. Prior to this I felt like I couldn’t get anyone to help me with finding the rules, the tests, etc.. It was so nice to have all my questions answered with this course. After taking this course I have an amazingly different view of the entire process and am now confident and ready to show. 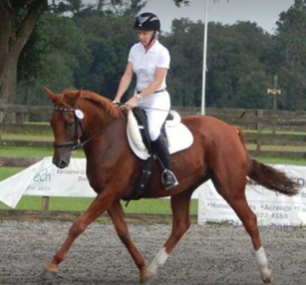 Even more important is my newfound knowledge of how to use showing to progress my dressage journey. I feel like I am a different person; I am riding with more confidence and I am so much stronger in my belief in myself as well as my horse. To anyone interested in this course, I would say go for it! This will help you progress whether you show or not. The course is super fun and chocked full of all the information I could ever want or need. It is presented in a form that is easy to revisit any time I choose. "This course is so well organized! Sharon Jerdeman presents and explains everything in such a clear way. This course answered all the questions I had about going to competitions, and helped me realize the benefit of doing them. The goal setting worksheets alone are priceless! I am SO happy to have found this course!" This course exceeded my expectations. I loved the entire course, especially the explanations on scoring and the use of videos. I now look at scoring in such a different way and it helps me to set better, more achievable goals. I confidently and enthusiastically recommend this course! Learn how to prepare and perform in a way that actually helps your progress! 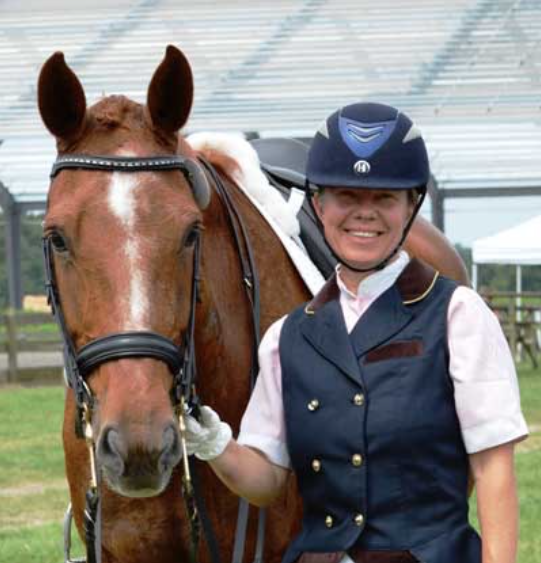 Sharon Jerdeman has over 20 years of experience as a professional instructor, trainer, and competitor in dressage and has earned her USDF Bronze, Silver, & Gold Rider Medals. 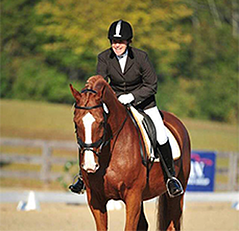 She has competed over 40 different horses in nearly 200 recognized shows at every level from Training to Grand Prix, and continues to be an active competitor and coach. 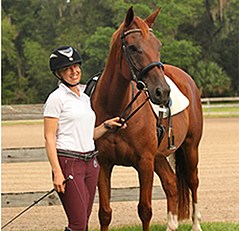 She has coached many students through the levels to earn USDF medals, championships, and high point awards, as well as placings at Regional and National Championships. 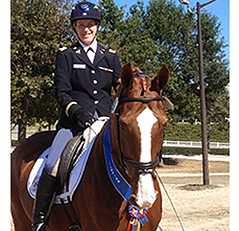 Sharon is also a USDF 'L' Judge Program graduate and has been judging schooling dressage shows for many years. 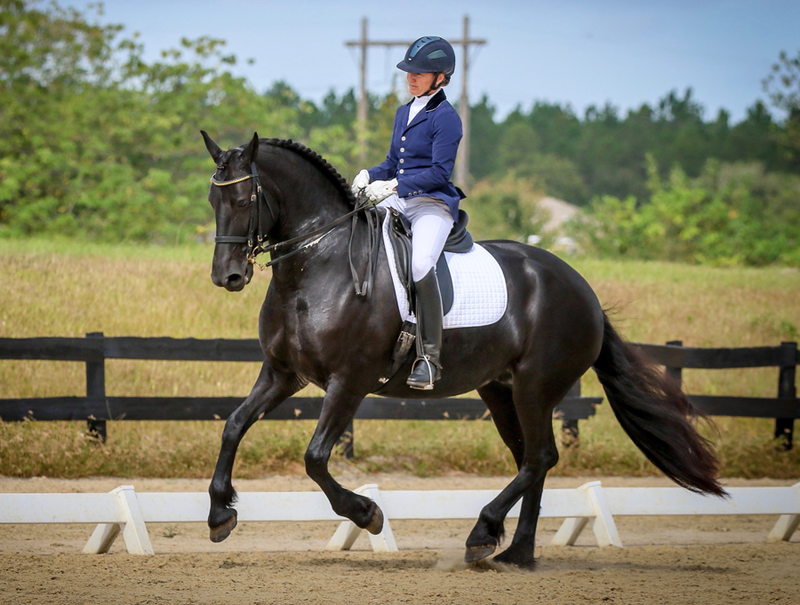 Most problems riders have at dressage shows are a result of unclear goals, unrealistic expectations, poor preparation, or not understanding what the tests are all about. Many problems riders have at home are a result of unclear goals, lack of a plan, and not having a way to measure their progress. This course will help you solve all those problems! Going to shows costs a lot of money. Too many times it ends up being an unproductive experience. Having a great experience at shows is a skill you can learn… Preparation is the key! This course gives you valuable strategies and sets you up to get the most out of shows. Don’t waste money going to shows unprepared. When I saw the new course coming out I was immediately intrigued. I used to show a lot and never really felt good about the scores and comments I received. If only I would have had this course back then! The course has given me new insights and possibilities for showing and training. I now have the tools and the knowledge to show my horse and have fun with it! And it gave me so much valuable information on how to self-evaluate my training, see progress and have the opportunity to grow even more into a great trainer for my horse. All of this without any help from someone watching from the sidelines. I totally loved the course! Even if you don’t care about winning, selecting and practicing competition tests provides a way to refine your goals, measure your success, gain confidence, and get valuable insight into your current abilities. This insight and focus is what will give you the information you need to progress! It’s a shame that so many riders don’t learn the skill of preparing and performing tests, even if they never want to go to a recognized show. This is for you whether you have championship goals, you want to have a way to measure your training progress, or you want to be able to go to shows without becoming a nervous wreck. ✓ Live Q+A calls 4 times a year! 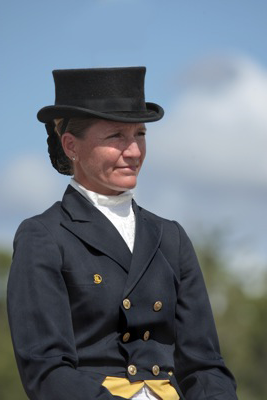 "Sharon is a great teacher - I’ve rarely seen anyone invest so much of themselves emotionally into insuring her students succeed, whether in the show ring or at home. She excels at preparing you for what to expect at shows, whether your goal was just staying in the ring for the first test on a green horse or finishing the last score for qualifying at a new level. 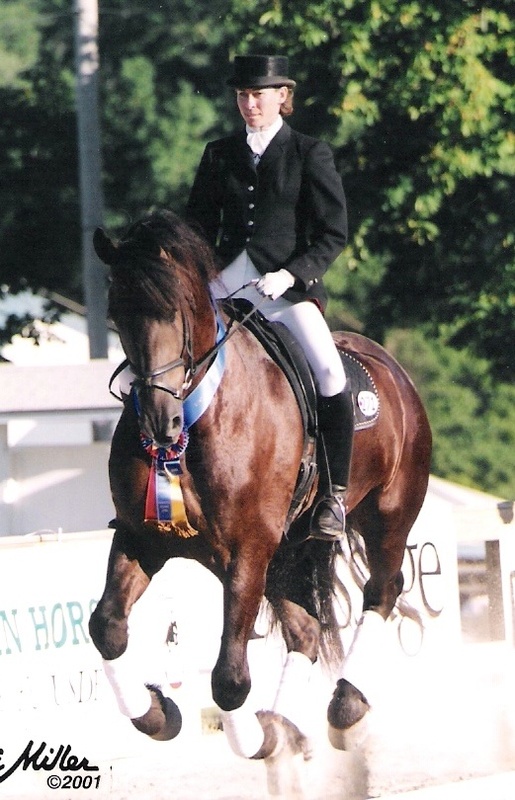 I know that I would not have been able to accomplish the things I have or go to all the exciting places I’ve gone and achieved the success I’ve had without the help of the great coach and trainer Sharon has been for me and my horses." 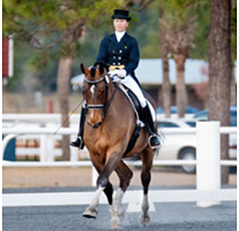 The Prepare, Perform, Progress course is ideal for all riders interested in learning to show. 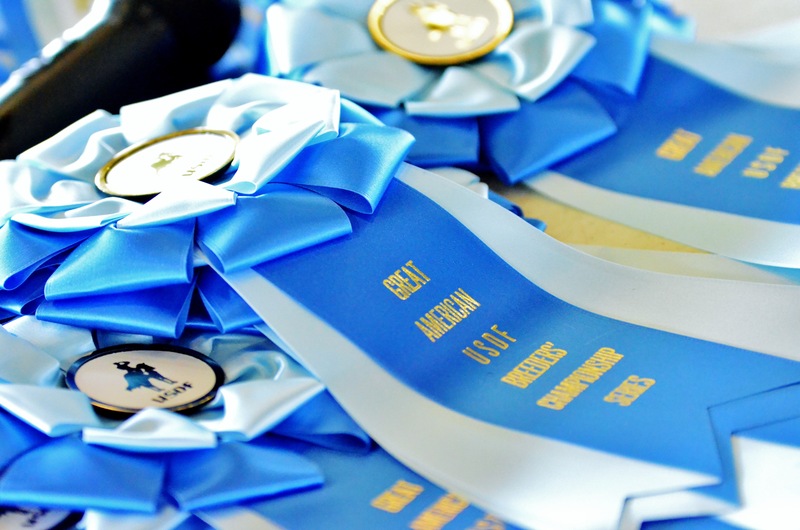 This includes young riders, riders who have some previous experience showing and want to set themselves up for greater success, and even seasoned show participants. 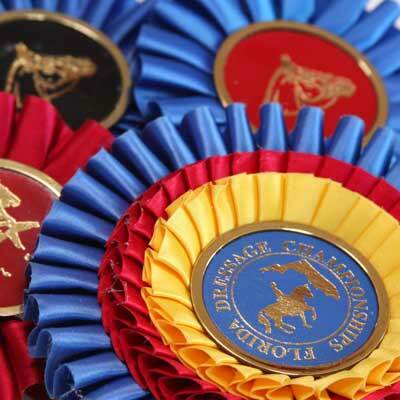 Everyone will learn ways to maximize their success at shows. Do I need to have any prior show experience? No! We love being a student’s first experience with shows! Set yourself up for success by learning all you can before you get to the show - from how to choose your tests to how to maximize your best movements. It's a lot easier than figuring it out on your own or asking friends who may not know all the rules. I have trouble with nervousness - will this course help? 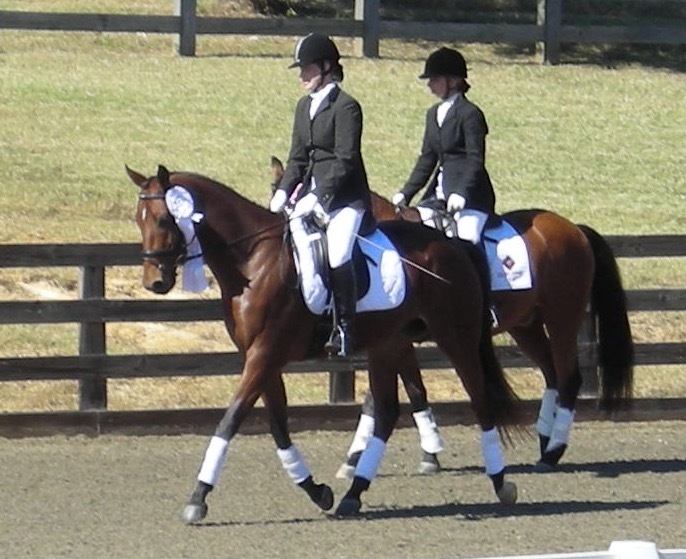 All aspects of showing are covered in this course, from pre-show prep, to show day strategies, to evaluating your scores. A lot of nervousness comes from feeling unprepared or being unsure about your abilities. This course will help you be prepared and confident about your goals. You'll gain valuable information on the entire process and will learn to navigate shows like a pro. Can't my trainer teach me all this information? Yes, but many trainers don’t take the time to teach you this. 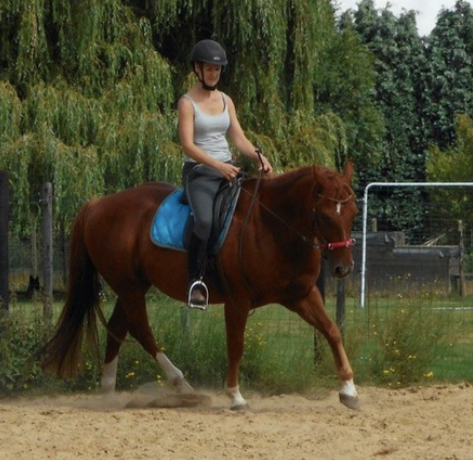 Your time with your trainer is best spent learning to ride the movements. Learning most of the show requirements outside of regular lessons will make you better prepared for shows, and you can always ask your instructor to elaborate on any information from this course you want to know more about. You have lifetime access to the materials, so you can truly go at your own pace! Assess where you are now at set your goals for the future. This is perhaps the most important module! Our Goal-Setting Worksheet will help focus you and you will be referring back to it throughout the course. This course is all about helping you achieve what YOU want to achieve! This is where you will learn how to find appropriate tests for your level, and how to set up and practice at home or at your barn. You'll learn where to find the rules for your particular discipline, and how to properly outfit yourself and your horse for your level. This is where you get everything together - choose and attend a show. You’ll get checklists, show day scheduling tips, and learn what to do from the time you arrive through your test. Learn tips that will help your tests go better and what to do when you make a mistake. Here, you’ll learn to make sense of your test results, gain a better understanding of what the judge sees and how and why you get the scores you do, and gain valuable insight through listening to a coach’s comments as a student is riding a test. Celebrate your success! You’ll take the assessment again to confirm just how much you have learned. You will receive a certificate of completion and will be shown other learning opportunities to continue to take your success with your horse to the next level. Start your lifetime access to all course materials now!